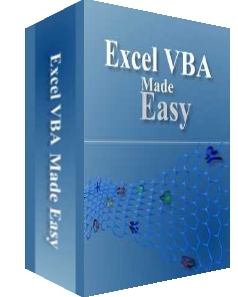 Our tutor Dr.Liew has authored an e-book, Excel VBA Made Easy that can be used as a reference book for your excel VBA projects. The book is also available on your mobile devices and kindle. VBA is the acronym for Visual Basic for Applications. It is similar to the Microsoft programming language Visual Basic except that it is embedded within the MS Office applications such as MS Excel, MS Words, MS Access, MS Powerpoint and more. VBA allows you to create customized programs using the built-in Visual Basic Editor in MS applications. These programs are also known as macros. The macros can greatly enhance the functionality of the Microsoft applications.